Black bonded leather with brushed silver badge. Includes A4 pad. 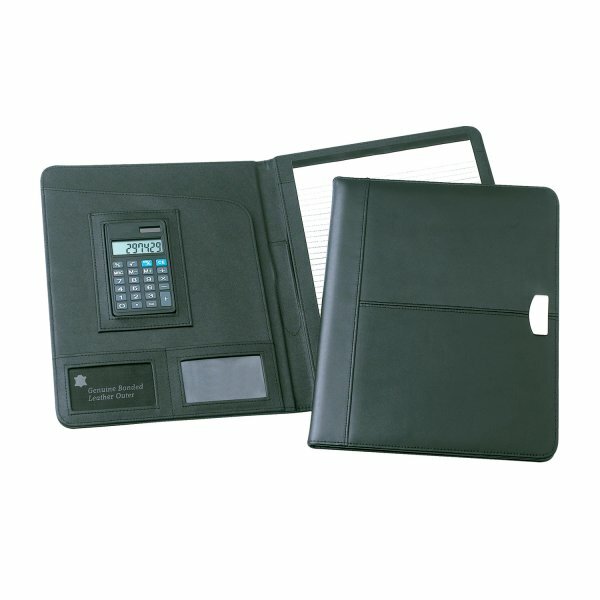 Optional dual powered calculator (D980) available. In black gift box.